Spanish train manufacturer CAF has secured a maintenance contract in Italy for the country’s high-speed Frecciarossa fleet. Trenitalia S.p.A., the country’s national railway operator, has selected CAF to maintain its ‘Red Arrow’ trains. CAF is to perform preventive and corrective maintenance on the 59 trains in this fleet. Officially numbered ETR500, these bi and tri-current trains operate on Italy’s long-distance network. For example, they run on the Turin-Milan-Bologna-Florence-Rome-Naples-Salerno line. 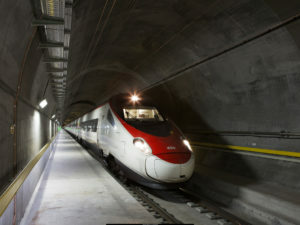 Want to know more about high-speed rail in Italy?